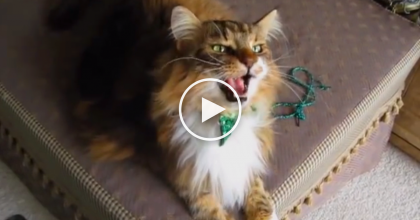 When this cat hears his owner sneezing and Achoo’ing, he always reacts in the funniest way ever – He even does it if he’s up in his tall cat bed, he never misses a moment to respond to his owner’s sneezing! When you hear this cat’s response when he hears “Achoo” you’ll just melt… Maybe this cat is saying “bless you” right back? 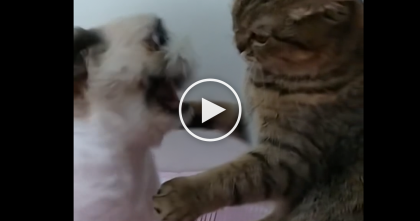 – Such a polite and cute kitty, he’s got the perfect response and he does it EVERY time… Awwwww!! 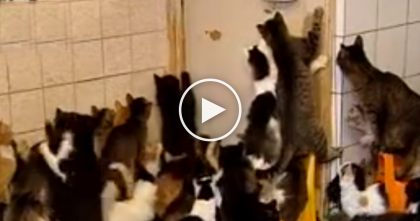 Listen closely because you’re going to love this response… Just watch the video! I loved every second of this, what an adorable response—SHARE this story with your friends and family if you enjoyed! 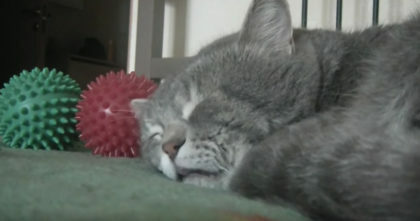 Sleeping cat hears his human coughing, but just listen to how he responds to it… Hahahaha!! 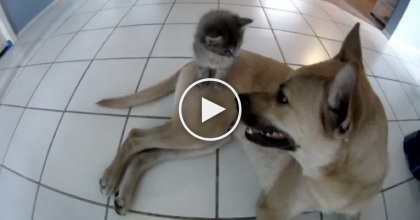 This Dog Noticed The New Adopted Kitten, Then Something Amazing Happened… AWWW!